MONDAY, Jan. 14, 2019 (HealthDay News) -- Six hours: That's the minimum amount of sleep per night you need to help your heart stay healthy, new research suggests. The study found that chronic lack of sleep and poor sleep quality raise the odds of fatty plaque accumulation in arteries -- a condition known as atherosclerosis, which increases the odds of heart attack and stroke. There are many ways to fight heart disease, including "pharmaceuticals, physical activity and diet," said lead researcher Jose Ordovas. "But this study emphasizes we have to include sleep as one of the weapons we use to fight heart disease -- a factor we are compromising every day." The study couldn't prove cause and effect, but people who slept less than six hours a night were 27 percent more likely to have body-wide atherosclerosis than those who slept seven to eight hours a night, Ordovas and his colleagues reported. Too much sleep wasn't great for the heart, either. The study also found that women who slept more than eight hours a night had an increased risk of atherosclerosis. Participants with "poor-quality" sleep -- frequent awakenings or difficulty getting to sleep -- were also 34 percent more likely to have atherosclerosis, compared to those with good-quality sleep. "This is the first study to show that objectively measured sleep is independently associated with atherosclerosis throughout the body, not just in the heart," Ordovas said in a journal news release. He also directs nutrition and genomics at the Jean Mayer USDA Human Nutrition Research Center on Aging, at Tufts University in Boston. "Many people think alcohol is a good inducer of sleep, but there's a rebound effect," he said. "If you drink alcohol, you may wake up after a short period of sleep and have a hard time getting back to sleep. And if you do get back to sleep, it's often a poor-quality sleep." While a direct cause-and-effect relationship between sleep and heart health remains unclear, "targeting one's sleep habits is finally getting recognized in the medical world as an important factor to improve heart disease," said Dr. Eugenia Gianos. She directs women's heart health at Lenox Hill Hospital in New York City. Gianos reasoned that behaviors in a person's waking hours may explain the sleep-heart connection. That's "because patients with good sleep hygiene have the energy to be physically active, make healthy food choices and handle stress better," she said. Dr. Thomas Kilkenny directs sleep medicine at Staten Island University Hospital, also in New York City. 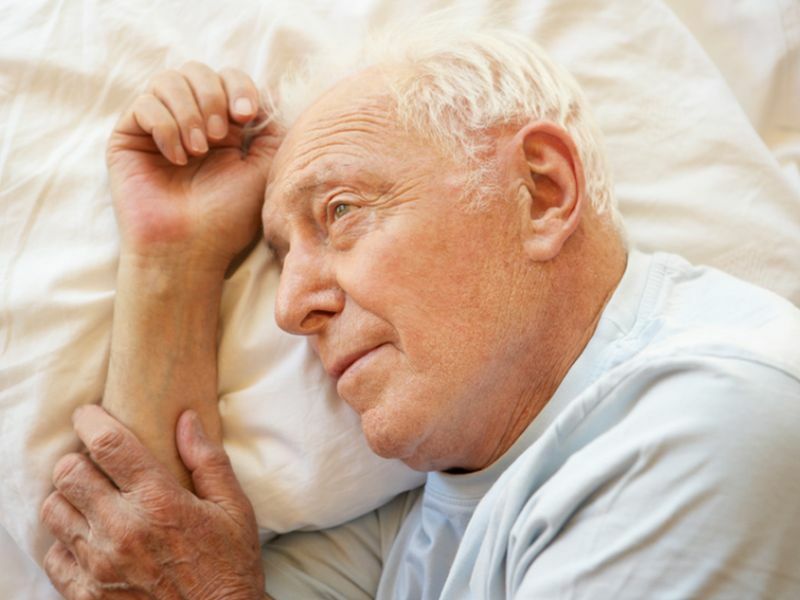 The new study "opens a door to further investigations to hopefully demonstrate the cause and effect between poor sleep quality and the generation of atherosclerosis disease," he said. "In the meantime, physicians should constantly evaluate their patients to identify sleeping disorders and stress to their patients the need to maintain at least six to eight hours of sleep per night," Kilkenny said.